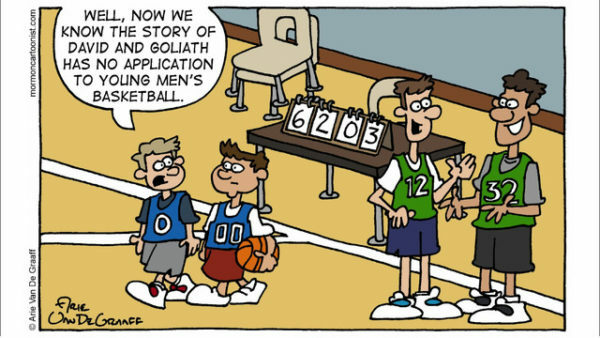 The free mobile app LDS Laughs is a fun-filled app that puts more than 300 LDS comics and jokes at your fingertips, with more added weekly! This easy-to-use app is great for kids of all ages (and kids at heart). 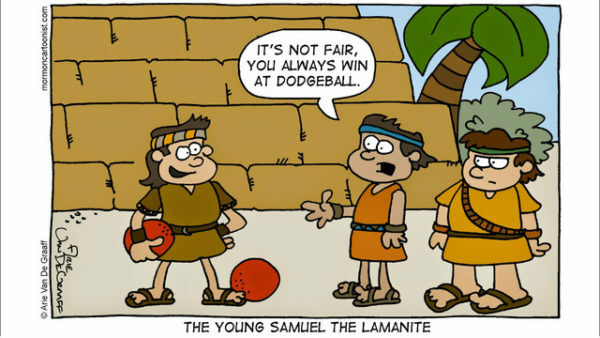 Hilarious LDS comics? Yeah, there’s an app for that! It is illustrated by the Mormon cartoonist Arie Van De Graaff. Members of all ages will enjoy these insightful jokes about everyday Mormon life and culture. Arie finds humor in Scouting activities, youth antics, sacrament meeting talks, missionaries, teenagers and parents, scripture stories, ward basketball, and more. 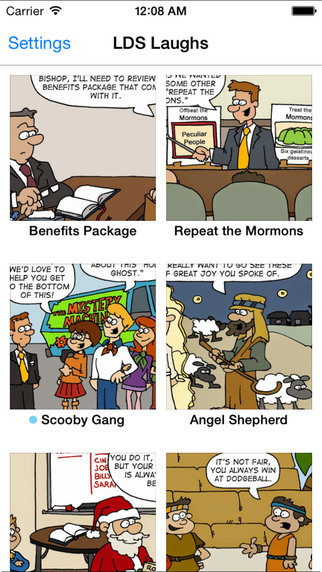 LDS Laughs offers an interface to browse the entire collection of gags. Want to read more about a specific gag? Head over to Arie’s blog where he spills the back story and related jokes. If you find a gag you really like, you can share it with others via email, Twitter, Facebook, or good old-fashioned printed paper. The app is made by LDS Apps by Lift LLC, who makes several other LDS games. You might think you’d have to pay a lot for such a great app, but thanks to their sponsors the app is free, with tasteful, relevant banner ads. Available for free from the iTunes store. Learn more about LDS mobile apps from the Church.